Is Porsche About To Start Making A Turbo Four Cylinder? Porsche hasn't had a four cylinder engine in ages. Is that all about about to change? The Porsche nuts over at Flat-6 News have reason to believe that the boxer sixes in the Boxster and Cayman are on the way out, to be replaced with a four-cylinder version of the 3.8 liter DFI flat-six in the 911. Supposedly the little four banger will be 2.5 liters, turbocharged, and crank out around 350 horsepower and 360 pound-feet of torque. That means it would make more power than the engines in the Cayman S and Boxster S. That's a good thing. 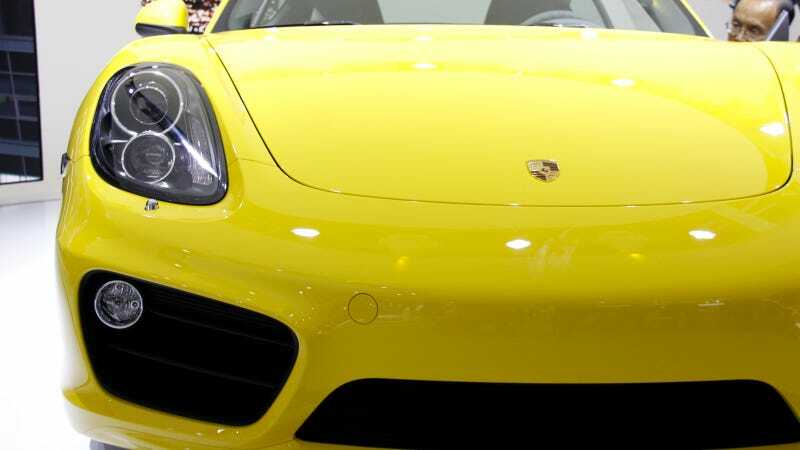 Flat-6 News also says that a naturally aspirated version of the engine will be in a sub-Boxster performance car. As always, take these rumors with numerous grains of salt.